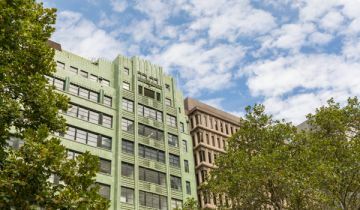 Optus has opened an innovation hub inside the Sydney Startup Hub to help small and medium-sized businesses (SMB) tap into the disruptive power of startups. Optus joins leading startup incubators and accelerators like Microsoft, Stone & Chalk, Fishburners, Tank Stream Labs, The Studio and Caltex’s C-Lab in the hub. The Optus Innovation Hub will be an extension to the Optus SMB Yes Business support platform. The workspace will also serve as a meeting place for startups and SMBs and host regular events – ranging from Hackathons, Innovation Challenges and Masterclasses. Vice President of Optus SMB Matt Ball said the Innovation Hub was designed to solve and explore challenges and opportunities to provide Optus SMB customers with the best user experience and growth prospects. 'SMBs are the backbone of the Australian economy and it’s incredibly important for Optus – as a business partner for SMBs – to invest in new ways of supporting their growth and success,' Mr Ball said. Minister for Innovation Matt Kean said he was thrilled to see the Sydney Startup Hub continue to expand and support growth in the innovation sector. 'It’s incredibly important that we unlock more opportunities for startups to collaborate and innovate with big business, and this is a perfect example of just that,' Mr Kean said. The Optus Innovation Hub will soon hold its first Innovation Challenge in partnership with Macquarie University. It will ask participants 'How can we support Small to Medium Businesses to grow digitally?' and cover topics from digital currencies through to cross border expansion and digital marketing. In addition to startups and SMBs, Optus will invite corporate partners, customers and other innovation leaders across the wider Optus and Singtel network to contribute to the Optus Innovation Hub through collaboration and expertise sharing.